better”), Mockingjay part 1 has some elements that make it, undeniably, the best adaptation of the trilogy so far. Join our conversation with your thoughts if you have seen the film! If you haven’t, I’m not holding back on the details, so be warned!Character Study As is often the case with a film franchise, actors and their characters improve as the series continues. Such is certainly the case with Mockingjay. Josh Hutcherson, who read for the role of Peeta primarily because he was interested in his transformation in the third novel, does not disappoint. His Peeta this time is absolutely amazing, from his gradual descent in the Caeser Flickerman interviews to his complete insanity that ends the film. The moviemakers used their special effects wizardry to make him (and Johanna) look convincing as the victims of torture, but he does more than just look the part. One of my favorite scenes is Katniss’s multi-layered dream sequence in which she dreams Peeta comes to hold her as they both sleep and keep off the nightmares. It gives more screen time to this pivotal character and reminds us what the Capitol is trying to destroy with its hijacking torture. Other characters who get to grow on us in this installment include Prim, whose development is beautiful and, for those of us who have read the book, heartbreaking. Her initial scene, combing the hair of a mentally unstable Katniss, is a wonderful mirror of Katniss helping Prim prepare for the Reaping in the first installment. Mentally unstable Finnick also gets opportunities to develop, and though his difficult revelations of his past as a victim of sexual abuse and slavery are part of a well-constructed scene with multiple points of view, he still develops nicely in this installment. Gale’s character development is also spot-on, combining his nobility as the rescuer of the District 12 civilians with his growing tendency for violence and power that will eventually completely alienate him from Katniss. In a closer relationship with Katniss this time is Effie Trinket, whose role is absorbing those of the absent prep team and Fulvia. This is a good decision, since the filmmakers can use an established character and allow her more screen time doing the job of the misplaced Capitol citizen who is too clueless to be really hated. Effie’s absence, along with its accompanying comic relief, is one of the reasons for the bleak tone of the novel. Including Effie allows for some lighter moments and even some cute banter with Haymitch. The most complex character, and the one who inadvertently is the most heart-breaking, is Philip Seymour Hoffman’s riveting Plutarch Heavensbee. 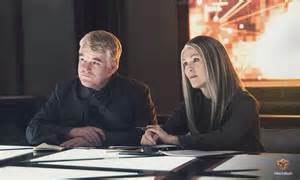 Knowing that this was one of Hoffman’s last roles makes it bittersweet to note how his Plutarch is absolutely perfect, from his clever manipulation of everyone from Katniss to Coin to Effie Trinket, to his multifaceted game face. When he mouths along with President Coin’s speech, the ever- optimistic Plutarch shows that he is still the master of the game, and even if he is on the side of the angels, he should still scare us a little. New characters also get some great moments in this film. President Coin is eerily warm for those of us who have read the book. The added tidbit that her own husband and daughter died in 13’s recent plague adds the element of possible instability beneath her cold exterior. Boggs is a great tool for introducing material that, in the book, Katniss covers in her narration, and is well cast and compelling. The camera team, though overly militarized for this point in the story, is put to good use, and Pollux, in particular, is wonderful, communicating non-verbally in a fascinating way reminiscent of the excellent Mags scenes in Catching Fire. He wears what looks like Katniss’s original Mockingjay pin, as the one on her uniform is black now, and the gold pin remains a bright spot, just as Pollux will be as the story advances. visible in the daytime sky behind Katniss when she first enters the ruins of 12, bringin in one of the story’s critical spheres/circles. As the series has proven itself to be a money-maker, this installment also boasts a big budget and plenty of excellent visuals and effects. From the falling smokestacks of District 8 to the immersive District 13 sets, the film takes viewers completely into Collins’s created world. 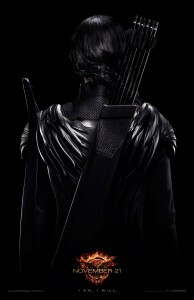 The District 13 woods, with building ruins from before the Dark Days; the dam of District 5; the dizzying aircraft and aerial shots, all combine for a film that is both impressive to watch and a solid representation of the text. One of the most effective, if chilling, set pieces is the ruins of District 12: the smashed Justice building façade with only the word “justice” still visible in its fallen signage and, most profound, the remains of District 12’s population, whose firebombed bodies are eerily reminiscent of the victims of Pompeii, reminding us that this is, indeed, a war story. Earlier in the week, I posted my hopes for the film, particularly for the ways in which the novel’s symbolic weight might be served in this adaptation. In this hope, I was not disappointed. Several of the trilogy’s powerful symbols are used effectively in the film. The bird motif, so critical to the story, is used nicely, from actual feathers in Cinna’s Mockingjay design portfolio to mockingjays themselves. Feathered angel wings also turn up, including on a statuette that sits just under the vase where Katniss finds Snow’s white rose. Ironically, the framed photo of Katniss’s father, which she collects, is in a rose-wreathed frame. 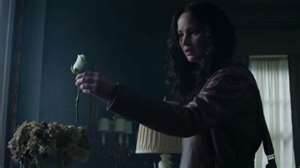 The roses are used to great effect, with a bowl of white roses at Snow’s elbow in his first appearance when he utters his chilling self rule: “Never let them see you bleed.” A nearly identical arrangement appears with Peeta in his first interview, and, of course, in the rose drop after the bombing of 13. The roses thus appear in three places: Snow’s mansion, Katniss’s home, and District 13, all three places Katniss will live while struggling to regain her sanity at various points in the story. One of the earliest shots, while Katniss is struggling with her disorientation and grief, is of her hand feverishly rolling the pearl Peeta gave her in Catching Fire. Although it’s bothered me that the pearl is a black one in the films (perhaps to contrast with Snow’s roses), the image is used several times, keeping the pearl in the forefront as a symbolic element. Other circular elements are used as part of the series’ ring motif. 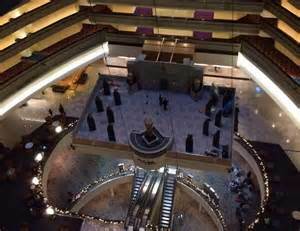 I particularly like the fact that District 13 is built around a circular center, so our first view of the place is with Katniss, descending, coal-elevator style, through layers of rings, to emerge on level 27, which is just one of the many threes and multiples of threes that run through the film. When Finnick gives his riveting story, he is standing in front of three circular lights for filming, Coin makes three public speeches (mirroring the three television appearances of Peeta), the security defenses that Beetee seeks to penetrate are depicted on a circular graphic; circles crop up on screens in background shots, on Effie’s scarf that resembles a map or schematic, even in the knotwork of Prim’s hair (hair matters, as evidenced by Mrs. Everdeen’s fishscale braid that foreshadows her eventual settlement in District 4). The knots, like the circles, are used effectively, with Finnick’s compulsive knotting. But the best use of the knot motif, and my favorite element in the entire film, is one that marries several of the symbols with the music that is so powerful in this novel. In addition to keeping much of the novel’s dialogue, the film makers have kept the Hanging Tree, using a gorgeous, truly Appalachian tune under Jennifer Lawrence’s lovely a cappella singing. The haunting tune works perfectly with the text of the song, and the song is taken up by the District 5 saboteurs, most of whom give their lives in their effort to take down the Capitol by destroying a hydroelectric dam. Singing as they are shot down and struggle to deliver their explosives, the rebels are mimicking the events of other revolutions, including the struggles of early 20th-century coal miners and American colonists, who, like many disenfranchised people, have a song that becomes a rallying cry. In addition to evoking protesters from suffragettes to Mother Jones, the song allows a brilliant example of gamemaker strategy: Plutarch Heavensbee changes the words when he uses it in propos. Rather than “necklace of rope,” or noose, he edits Katniss’s singing to be “necklace of hope.” This sounds less grisly, of course, but it also shows how the image-driven Plutarch sometimes completely misses the point, while reminding us that the film we are watching has also been sanitized and packaged to avoid offending. The song is the best one yet in any of the films ( I was a little nervous when I listened to the soundtrack, as the first song on there, “Meltdown,” was such a shock I nearly had a meltdown. Maybe that was the point. ), and its sequence, covering Katniss singing for Pollux, the saboteurs, and the propos using it, is a perfect nutshell of the truths this story tells while using the unreal to explain the real. many of the more stressful scenes are so filled with flashing lights and noise that I have warned off friends who have epilepsy or other sensitivity. At first, I was also surprised that the film did not end with Peeta’s attack, but ending with him raving, behind glass in which Katniss, with her bloodshot eyes and collar from near strangulation, is reflected, has great connections to the scene in the first book in which she watches doctors trying to save Peeta while being horrified at her own hideous reflection. It also allows time for Coin’s last speech, the one written by Plutarch. Most of my let-downs, though, were things I missed. Though Effie tells Katniss he is dead, we do not see Cinna’s death nor hear anything else about him or from him. Considering that he is often Collins’s voice in the story, his absence is keenly felt. Of course, he does not appear in the novel, but, with the expanded point of view afforded by film, we could see more of him than Katniss does. But perhaps, in missing him, we can better understand Katniss’s loss. Also, though Effie has some wonderful moments bemoaning the loss of her pretty life, she never gets to use my favorite Octavia line: “It’s supposed to be pretty.”A more surprising deletion is Katniss’s demand to be the one to kill Snow. Considering how critical this demand will be later, it may be added in part 2, but losing it also means losing Coin’s cryptic promise to flip Kantniss for the honors when the time comes. I was also mystified by the exclusion of Katniss taking up Finnick’s rope tying, but perhaps the filmmakers are saving that, too. What can’t be added in later was something noted by my sharp-eared son, Nathaniel: when Katniss sings, the mockingjays join her, but they do not stop to listen, as they did for her father and as they do for her in the book. At least, though, my disappointments are with what was left out, rather than with what was put in. Considering my frustrations with the addition of non-textual, tone-bending elements like a Seneca Crane who was more prominent in the first film than Cinna, concern over missing elements is less crucial. I am also not always opposed to added elements. As I noted in the Catching Fire review, I love the inclusion of Snow’s granddaughter, who is implied but unseen in the books. Her one moment in this film is also a winner, as she quietly undoes her signature Katniss braid while Snow declares death as the punishment for parading the emblems of the Mockingjay. Other added elements, for the most part, add to the story’s depth and complexity, rather than take away from it. For example, the scenes of District rebellion, aside from being visually and dramatically stunning, also are suitable in a telling that is not confined to Katniss’s perspective. This perspective also allows us the wonderful scenes of the strike team going to rescue Peeta, Annie, and Johanna. I like that the plane is codenamed “Mockingjay 1,” but I was given an inappropriate snigger by the thought that the thing would probably have Katniss painted on as a WWII noseart siren. I am intrigued by the extra scene that put Katniss and Coin in a heart-to heart chat. How will this Coin, who seems warmer than her textual counterpart, work in part two? Will her revelation as a heartless puppetmaster be even more shocking thanks to her seemingly kindly manner? And what of the secret weapon she and Boggs discuss? Is this the double-exploding weapon designed by Beetee and Gale? Or a nuclear weapon? These questions, of course, are the reasons why we will be coming back for part two in 2015. Thanks to the way the gamemakers played this time, I think I will trust them a little bit more. After all, they did keep the cat. I left the theater ready to see it again. I was blown away by how amazing that adaptation was. By far, my favorite part was the use of the Hanging Tree song. The people singing it in District 5 was so ridiculously powerful to me. 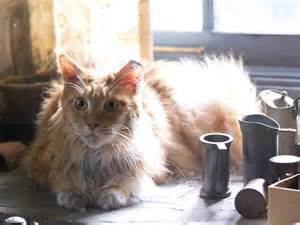 I was also moved by the look on Katniss’s face as she watched Buttercup playing with the flashlight. As Jennifer’s face reacted to the scene, I could practically hear Katniss’s narration from the books as she realizes the way Peeta’s being used to torture her. Coin being so much more sympathetic threw me, too. We’ll see where it goes, though. Overall, I was so impressed. My wife and I both thought the movie was very well done, and very true to the text. Loved the hanging tree song – goosebumps from that one! A few key things we are unsure how they will resolve in the final installment; Katniss requesting the rescue (no need to resolve, but why the change? ), Katniss not demanding to kill Snow, and the missing Nightlock pills! After Katniss shoots Coin she goes to bite the Nightlock and gets Peeta’s hand instead – not sure how they will work that out in the next film! So man wonderful insights! I loved the moon, but missed the Artemis connection and the Pollux/Mags parallels. I’m going to see the film again today or tomorrow and I’ll be on the watch for more birds and the roses in the photo frame–what sharp eyes you have. And Rochelle, the shifting emotions on Katniss’s face when she played with Buttercup was just so powerful. I’m very curious about how they’ll develop Coin’s character arc in the second film, ditto Peeta’s gradual return. 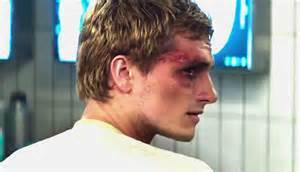 I thought Peeta was brilliantly played this time and that last scene with the blinding white room was utterly chilling. I was very moved by the Hanging Tree song; Francis Lawrence apparently insisted on Jennifer Lawrence doing the song herself and it was exactly the right choice. The very fact that she does not have a trained voice (though it is lovely) was what made the moment so real. And then that swelling chorus as the rebels take up the song as their anthem and march to near certain death. Wow! Did you catch the background music when Katniss is talking to Finnick during the bombing? When she goes to him and says she realizes what Snow is doing but, of course, Finnick knows that as Snow is doing the same thing with Annie? It’s The Hanging Tree! During Snow’s speech, his family was standing off to one side and his granddaughter was unbraiding her hair. In CF, she tells her grandfather that “everyone” is wearing their hair like Katniss and she clearly admires the love between Katniss and Peeta. There’s a nice subtle depth to this character, who has only a few minutes of screen time and even fewer lines. 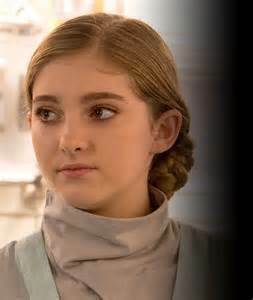 I still hold to my original theory- the child that Prim rushes in to help will be Snow’s granddaughter. I too wonder about Coin’s character. Also, during Katniss’ demands she did not request to kill Snow. It makes me wonder how they are going to get her to kill him (if they will at all) and what they will do with Coin to make us, the viewers, dislike her. We know more about Coin, and the fact that her daughter and husband died shows us alot about the way movie-Coin acts towards Katniss. It’s almost like she wants to groom Katniss to be a replacement-daughter and new leader. However, like I said, we are going to need a reason to dislike Coin so much that we won’t hate Katniss for shooting her in the end- a reason bigger than just wanting on last HG. I’ll just add this comment here as there is probably nowhere else as appropriate. On our 10 hour road journey to visit our family for Christmas, I brought along The Hunger Games audio book to listen to, although I had already read all three books before seeing any of the films. My daughter was open to hearing the book for the first time, but my wife was adamant: she didn’t want to listen to the book because she “already knew the story from seeing the films”. In the end, I put the book on while it was my turn to drive and my wife was asleep in the passenger seat alongside me. At some point she must have woken up and (unavoidably) been listening along. In fact, I found her laughing at some points, and going “Oh, Katniss” at others. When we stopped to change drivers two hours later, she wanted to keep listening after all. The moral is that if you have just seen the films, you might “know the story”, but you haven’t heard Katniss tell HER story. So, if you have only seen the films, READ the books. As good as the films have been, “the book was better” (as Elizabeth’s T-Shirt said). I really like this movie and the hanging tree song is just amazing.